Please join us for an extraordinary patchwork event at Münzstrasse 20 Berlin- Mitte, this Saturday. We are proud to showcase the photography from JR’s INSIDE OUT PROJECT in Freetown, that is featured in the book LION BASE. 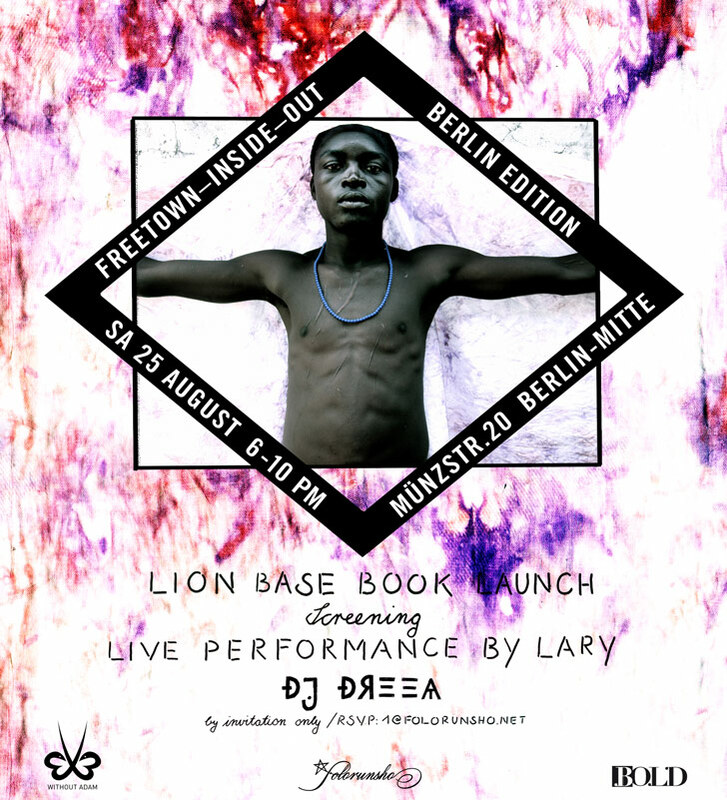 live music performance of up and coming Berlin based artist LARY and super sound by DJ DREEA. We look forward to see you Saturday!!! “The more you give the more you get! Whenever you share with others you realize how much you have. When you give you feel rich. whose products and international collaborations are now available in selected locations around the world such as Collette in Paris. transforming the ‘impossible’ to I’M POSSIBLE. with an education and adequate living conditions for the first time in their lives.